I usually post about The Bachelorette much earlier in the season, but, to tell you the truth, this season has been kind of boring. Yes, there has been mucho drama, but not the kind that is actually funny or particularly entertaining. If I hear one more person refer to being on the show "for the right reasons"(Des herself says this about fifteen times an episode) I might actually have to stop watching this show. Gasp. But, I just had to make a comment about the most annoying bachelor in the history of the world, in my humble opinion. Now, I did a little research on the ABC website and it seems like people are really into Michael G., but I beg to differ. He is a federal prosecutor, which is admirable, certainly, but he just prosecutes the hell out of the other contestants bachelors. Court in not in session, buddy. Take a breather, drink your beer, and worry about your tan like everyone else. Michael's first case this season was "The people versus Ben." Michael believed that Ben was only on the show to promote his bar, and it also chaffed his a** that Ben used his son as a prop for his intro to Des but never mentioned him again during guy time. Michael forged a consistently insane battle to get Ben kicked off the show. Michael's main beef? Ben is not a good man or a good Christian like he claims to be. The most damning evidence Michael had against Ben? Ben did not go to church on Easter Sunday. Well, Michael solved that case and the verdict came down in his favor. On the infamous two-on-one date (which epically took place in a floating hot tub), Ben got the boot and Michael G. got the loot. But was Michael satisfied? No. He sniffed out another morality offender and man-on-a-mission Michael was ready to prosecute again. After hearing that James had said that if he makes it to the top four he has a good chance of being the next bachelor, Michael was on the case! Even though hearsay does to stand up in a court of law (Take note here, Michael. You are being schooled by someone who gets her legal information from Wikipedia), Michael was determined to bring James to justice. Though the two men who actually heard James say this shared the information with Des, Michael made sure to be in on every conversation concerning the accused. The morality police's work is never done. In what I considered to be a stunning turn on events, lovely Kasey was kicked off the show and Michael, protector of all that is good, got to stay! Say what?! I suppose it is always good to have a lawyer on the payroll. Michael ends the episode of Law and Order The Bachelorette saying, "People versus James? Case closed." For real? In the fight for good, Michael continues on. Here's hoping that the drama ratchets up off the coast of Portugal tonight! Lastly, I need to point out that former "bachelor" Brian, who was not there for the right reasons as revealed by his girlfriend who made an appearance on the show, looks strikingly like the blood drinking villain on the BBC show Luther. Just saying. 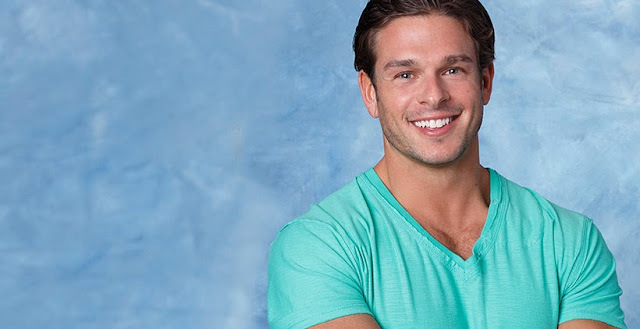 Want a few more Bachelorette laughs? Check out this Jimmy Kimmel video.